Gardens in Bloom is a two-day celebration of gardens in the Comox Valley. Treat yourself to this unique self-guided tour of some of the valley’s special private gardens. Get inspiration for your own property, or simply enjoy the sights and smells. The net proceeds from Gardens in Bloom are shared with other community groups in support of various horticultural pursuits. 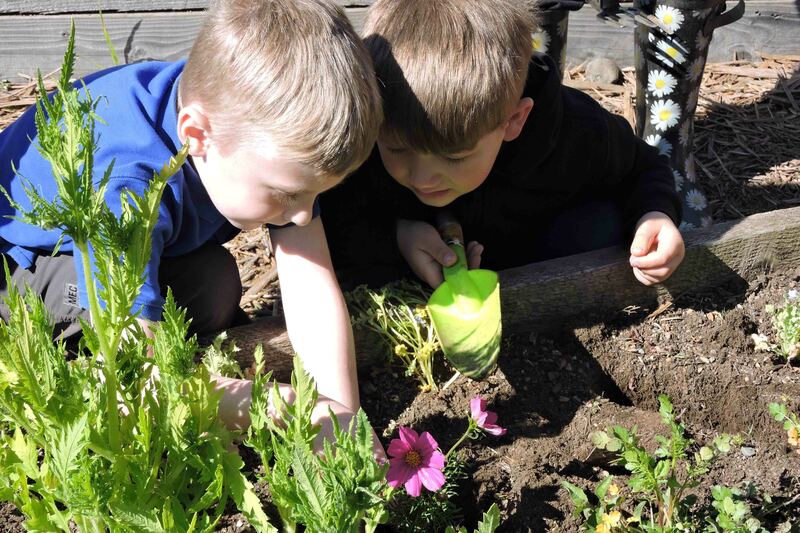 To date, donations from Gardens in Bloom have supported thirty-one projects in the Comox Valley. I am pleased to tell you that the garden project was successfully completed and had wonderful results for students. I hope you enjoy the photos and report of the project. We are very grateful to Gardens in Bloom for this funding as it has made our gardening projects a reality for students. 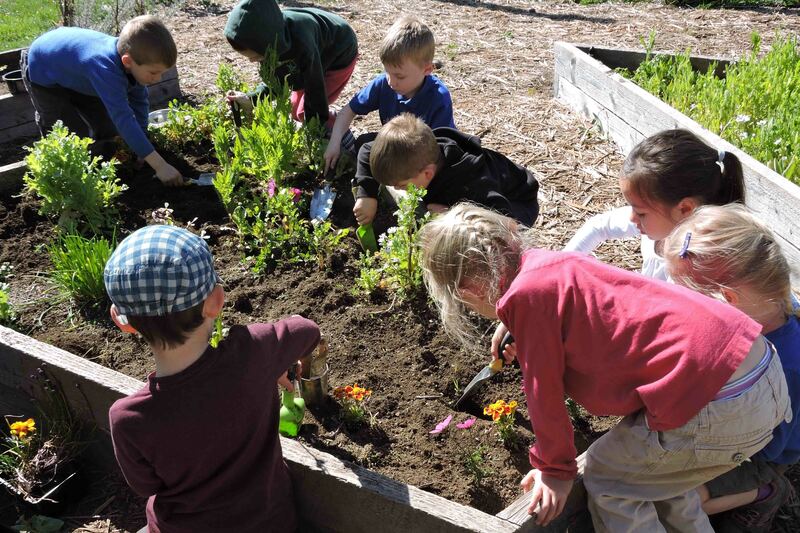 I believe that getting children into the garden has such a wonderful effect on them. It connects them to nature in a very special way, and helps them to understand their connection to food and the earth. 9:00 p.m. Meeting wraps up after Guest Speaker question period. Final minutes of plant sale. Monday, April 18th is our Members Plant Sale! Several of our members will have tables loaded with some very special plants from their gardens. You are pretty assured of finding a treasure amongst so much greenery. Plant sale starts at 6:30 p.m.! Bring a box! Also on this night, we welcome the Comox Valley Horticultural Society’s guest speaker, Jennifer Lipka, to learn about the research on environmental conditions affecting pollinators. 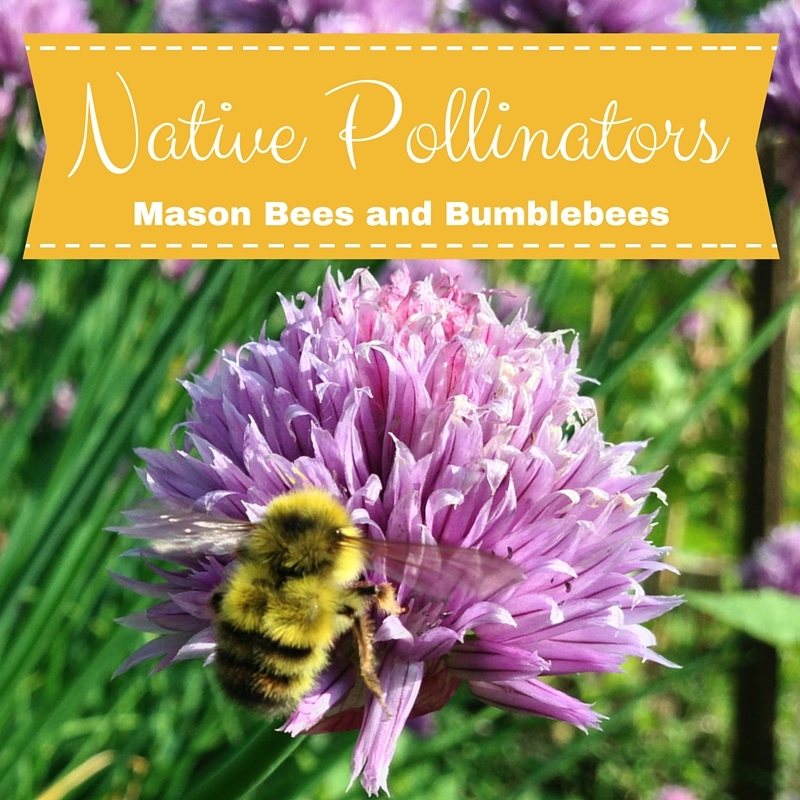 Her presentation, “Native Pollinators: Mason Bees and Bumblebees”, will highlight the different kinds of native bees, wasps, and other beneficial insects. Jennifer will share ideas on what to plant and how to help the pollinators thrive in our gardens. 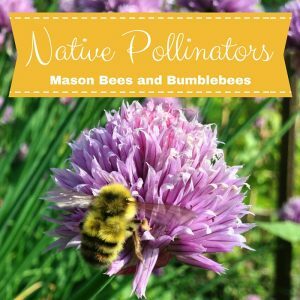 Rest assured, native pollinators and beneficial insects really do need our help! Jennifer has worked and studied with Brian Campbell, of Blessed Bee Farm, to better the lives of bees around the lower mainland. She is currently attending school for Sustainable Geography at UBC. She was a West Coast Seeds organic garden advisor for almost two years and continues to share her passion for helping people grow gardens organically and to support bee-friendly environments. Remember: the evening fun begins a little earlier this month! Plan to be at the Hall at 6:30 so you have time to browse the plant tables, the Information Table, Opportunity Table, the Grow ‘n’ Show display…and get your Raffle Tickets for some neat prizes. You will also want to have a few minutes to talk “gardening” to your friends before the speaker presentation!